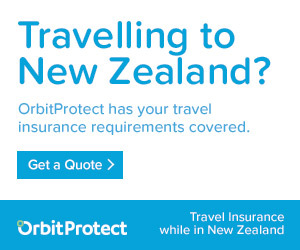 If you are visiting New Zealand and need travel insurance request a quote from Orbit Protect. They specialize in insurance for New Zealand bound international students, non-NZ residents, visitors on working holiday visas and seasonal workers. Our goal is to ensure you have the right insurance in place to meet your needs. Our preference is to provide advice on all the insurable risks you could face using our Personal Insurance Planning Process, but we can provide transactional services to implement life insurance products at your request. We will come back to you and discuss your plan, starting with the "perfect world", don't worry we will help you recover from the shock by breaking it down to what fits your lifestyle. We will contact you yearly by phone, email or letter to check whether anything has changed and your insurance cover still meets your needs. It is your responsibility to let us know as soon as possible of any changes. Disclosure Statement available on request and free of charge.